2016 may be the year that Florida finally legalizes marijuana. As of September there are three separate campaigns going on to raise awareness, gathering petitions and trying to get legal marijuana on the ballot for the 2016 elections. I wrote about John Morgan bringing back the United for Care medical marijuana initiative back in July – since then United for Care has managed to get more than the number of signatures needed to get their initiative reviewed by the Supreme Court. Currently they are waiting approval of their wording for the ballots in November 2016. Since their wording was only changed slightly from their 2014 attempt with Amendment 2 (which only narrowly failed the 60/40 vote needed to pass) it is very likely that the Supreme Court will take the entire time allotted to review only to eventually approve the campaign for ballots. Regulate Florida is an initiative that that would legalize adult use of marijuana in Florida. Drafted by Bill Wohlisfer, a Tallahassee attorney who is the director of legal affairs for the committee in charge of the campaign known as Sensible Florida. The goals with their campaign is to restrict the availability of marijuana to minors by limiting the illegal market for the drug. There is a strong group behind this iniatitive and it is likely to catch up to United for Care with time – but if you live in Florida and you would like to support you can print the petition here. The newest initiative in Florida is the Right of Adults to Cannabis. This is the only campaign that is not being led by a large group like Sensible Florida and does not have a huge backer like John Morgan’s United for Care – but they have a lot of support and the more their story gets out the more support they receive. The most well-known couple that is working with this ballot initiative are Cathy and Bob Jordan of Parrish, Florida. This couple is actually local to me and hopefully I will be alongside them and many others gathering petitions in the near future! Cathy is a 30-year survivor of ALS (also known as Lou Gehrig’s Disease), which is a quickly progressing disease. When diagnosed they expected to have little time left together – most people with ALS, as Cathy was, are told they have only a few years left. Thanks to a strain of marijuana called Myakka Gold Cathy has been able to live comfortably 30 years after her diagnoses. After Amendment 2 failed in 2014 after being called “a front for legalization” by the FSA, Cathy and Bob decided to skip medical marijuana and go straight for flat-out legalization. The Right of Adults to Cannabis is a relatively simple campaign and only has one goal – legalizing and regulating marijuana. If you live in Florida and you want to support this campaign then you can print the petition here. Both Regulate Florida and the Right of Adults to Cannabis campaigns need a total of 683,000 signatures from registered Florida voters to even be considered for the November 16 ballot. 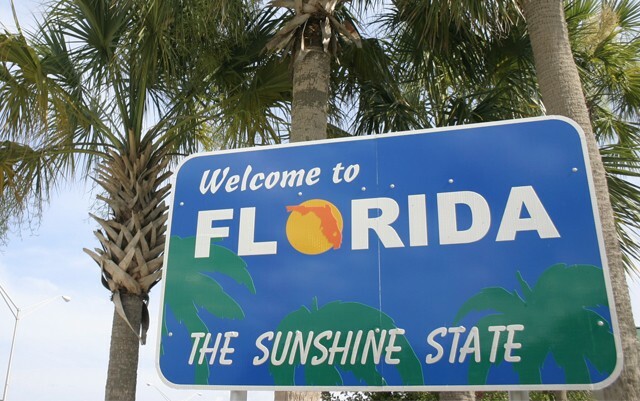 They have a long way to go to catch up to United for Care’s medical marijuana campaign – but with enough support, Florida could be the next state to legalize marijuana on a recreational and medical level. It seems this article leaves out quite a few petitions including Florida Organization of Reform’s dietary supplement petition that has been out long before most of what is mentioned and is the only personal use amendment with a validated petition currently. Here is almost the full list of petitions on our journal, the one by James Fowler was the only one left out because the article was published before the petition was format approved, but will be included in our list next time. Regulate Florida’s petition creates a rock solid plan that forces the legislature to act, does not violate the strict rules applicable to constitutional amendment language, creates minimum guarantees to access and possession, establishes 4 types of commercial licensing, and permits indoor home growing of six plants per adult household member, as of right. The legislature can increase these mandates, but not go below them. We modeled the Regulate Florida petition after Colorado’s Amendment 64. The success of Colorado’s Amendment 64 resulted in unprecedented reductions in crime, reductions in arrests, reduction in marijuana use by minors, created over 1,000 jobs, and generated $40 million in recreational marijuana taxes in 2014. We can triple those results in Florida because of our demographics. I caution all good people who consider donating their time or money to the Right of Adults to Cannabis’ ballot initiative. While that petition generates a feel-good moment, its stands no chance of surviving Florida Supreme Court scrutiny. At the end of the day the petition sponsored by Floridians For Freedom will not be on the ballot because it is a fatally flawed document. How do I open a dispensery!!?? The Florida Law should be a duplicate of the Colodro Law, word for word, it should not be limited to the big money interests such as the tobacco companies, or the crooks that bought the power brokers. The only changes should be the names of the State and Counties. Using the exact same language would be a legal argument, since a Precedent has been set, by the CO Courts. I have been diagnosed with lupus and the steroids I take make me sick the only way to help me eat is to smoke.. I believe cannibus helps me out a lot.. I got into trouble for having a possession and they want to send me to prison because of having a 30 supply of it in my house whom my mom called the le on me to be nasty because she was homeless and I needed her to watch my kids. Therefore she could take over my apt and they kick me out for a possession… Cannibus helps with multiple side affects that my steroid causes me to have.